. : XC Ottawa challenges YOU! Team Competition at the Gatineau Loppet :: Ski XCOttawa.ca :: Skiing in Ottawa and Gatineau Park :. Skiers can now sign up as a team for any (freestyle or classic) of the 27 and 51km races at the Gatineau Loppet. Each team must have a minimum of five people, including at least one woman. Only the four best times of the members of a given team will be counted towards the prize on the race weekend. One of those finishers must be a woman. There is a PRIZE for each race (51 classic, 51 skate, 27 classic, 27 skate). All of the team members must be doing the same race to enter together. Sign up with your friends, family, colleagues, teammates, etc. for the extra motivation and camaraderie you might be looking for during your event this coming weekend. XC Ottawa will be entering a team in the 51km classic event. Our team is Karl Saidla, Riel Allain, Sheila Kealey, Ingrid Hagberg and Megan McTavish. As indicated earlier on this website, we are also proudly skiing in support of the Little Angels charity. Do you think you can beat us? Enter a team right now and find out! 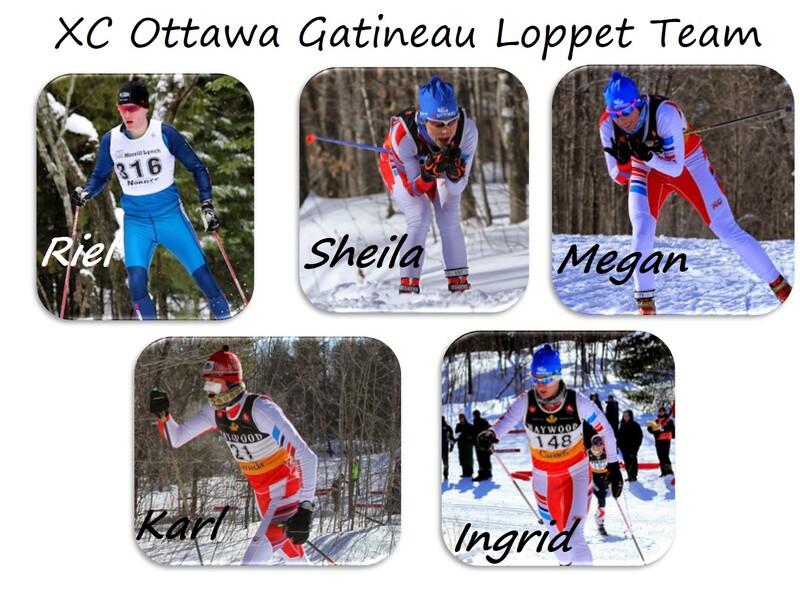 Send your team names to info@gatineauloppet.com to register your team! XC Local: Year 1 - Success! XC Local: New Gatineau Park XC Skiing Website.